Amazon.com has made some changes over the last few months for authors, and there is now a little-known feature lurking in a sneaky place on the Amazon book listing pages. Provided an author or publisher has set it up properly, there is a special author's page that can only be found by going to a book listing and hovering (NOT clicking) your mouse over the author's name. A pop up window will appear with links to the author's page. Once there, it will list all of the author's books, plus other features. I have set mine to grab entries from this blog, and it will display the three latest entries. I'm only mentioning this feature here because Amazon seems to be keeping it a secret from customers and authors. Today, July 30th (in addition to being my bride's birthday) marks the 276th anniversary of the formation of the Grand Lodge of Masons in Massachusetts. In 1733, Henry Price (1697-1780) officially brought Freemasonry to America from England. Price was authorized by the Premier Grand Lodge of England to form lodges in the colonies, and formed the Provincial Grand Lodge of Masons in Massachusetts. 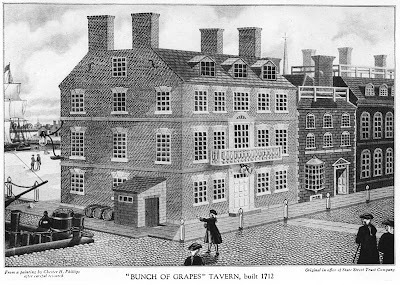 On July 30, 1733, a group met at the Bunch Of Grapes Tavern in Boston, and formed what was appropriately named First Lodge No. 126 (now St. John's Lodge—Massachusetts does not number their Masonic lodges). It was, in fact, the first lodge in America that the Grand Lodge had authorized (unlike earlier lodges that existed in Pennsylvania), and Price’s position as "Provincial Grand Master of New England and Dominions and Territories thereunto belonging" gave him the sole right to charter new lodges in the Colonies. A replica of the sign that hung over the door of the Bunch of Grapes tavern was carved from a block of wood from the U.S.S. Constitution and now hangs in the Grand Lodge building in Boston. The National Heritage Museum in Lexington, Massachusetts, which is owned by the Scottish Rite Northern Masonic Jurisdiction, has a display of Massachusetts Grand Lodge artifacts celebrating the anniversary of the formation of the Grand Lodge through the end of October. The Grand Lodge of Massachusetts is considered to be the third oldest Masonic Grand Lodge in existence, after the United Grand Lodge of England and the Grand Lodge of Ireland. Newland Road in north Charlotte, black and white Masons dressed in tuxedos and suits traded handshakes and hugs before entering for a secret, members-only gathering of rituals. “I've been looking forward to this for a long time,” Herbie Watts, 65, a past worshipful master for the local Prince Hall lodge, told a group of white Masons as they arrived. He pulled out a yellow heavily worn card from his wallet, which documents the Prince Hall's charter dating back to the 18th century. He told the white Masons he'd been carrying the card in his wallet for 35 years. He clasped his hands and took a deep breath. 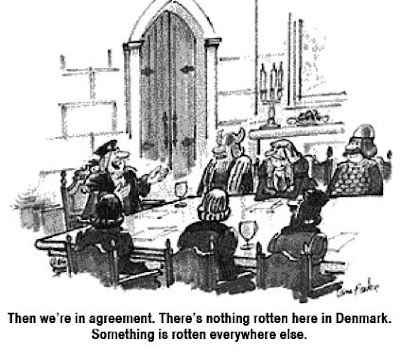 The two Mecklenburg lodges had never joined in each other's official activities. 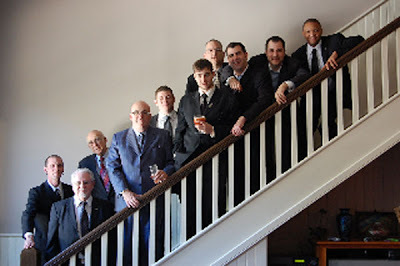 Last week, though, 47 local Prince Hall members visited the white lodge for a first time. Members in both Mecklenburg's black and white lodges say the meetings are big step toward mending racial differences. “Those of us who feel very strongly about this, and feel we are all equal men and all should be equal Masons, are pushing to make this happen,” said Allan Mann, a junior deacon with the Ancient, Free and Accepted Masons. “I met one brother who told me he'd been a Mason for over 70 years and he never thought he'd live to see the day that he'd get to walk into one of our lodges. The recent recognition between the Grand Lodge of North Carolina AF&AM and the Most Worshipful Prince Hall Grand Lodge of North Carolina as been widely publicized this year, and has been gratifying to see. Congratulations, brethren. Freemasons seeking an appropriate beverage for their post-meeting gatherings, festive boards and especially Robert Burns nights, take note. In honor of the 250th anniversary of Burns' birth, Scotland's Arran Distillers offers a Robert Burns single-malt and Robert Burns Blend. 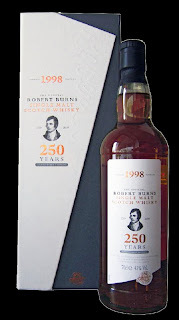 6,000 bottles of Robert Burns 250th Anniversary Malt have been produced from 15 ex-sherry casks that were especially selected from their 1998 distillation. Each gift box carries an image and signature of Burns. I am contacting their US distributer in Chicago to see how widely available these are in the US. And clearing a spot in the bar. Thanks to Mark Tabbert for the kind review of Solomon's Builders in the latest edition of The Messenger, the newsletter of the George Washington Masonic Memorial. While I'm looking at the newest stack of publications, the Summer 2009 issue of the Scottish Rite Research Society's Plumbline is the best I have read in years. This deceivingly small 8 pages is packed with a great article by Brent Morris on "The Royal Secret in America before 1801," and an in depth review by Jay Kinney on Marsha Keith Schuchard's "Restoring The Temple Of Vision: Cabalistic Freemasonry and Stuart Culture." Given the book's $364.00 cover price, Jay has done scholars a great service in thoroughly describing the book so those of us with moths in our wallets can decide whether it is worth owning or simply hoofing it to the library. Hats off to Editor Pete Normand and Asst. Editor Michael Halloran. Thursday July 30,at 6:45 p.m. “What is Freemasonry – Behind the doors of the Lodge.” This program will discuss Freemasonry - its ritual, history, symbology, and mythology. Do not expect any secrets (sorry, the presenter cannot reveal them), but do expect a glance inside the doors of the Lodge and to come away with a better understanding of the largest fraternity in the world - something more than you will find in the numerous fictional books and expose books on the subject. The presenter will be Frank Kautz. Frank is the current Secretary of Mount Hermon Lodge meeting in Woburn as well as a Past Master of that lodge and the Masonic Ambassador. The program should run about an hour and a half or so depending upon questions. There will be an optional follow-up tour of the Woburn Masonic Building Friday, July 31, at 7:30 p.m. This is a chance to go into the lodge room and see a bit of local history. Several brethren have remarked on this on some of the various forums, but I wanted to wait until I got my very own. It seems that Old Navy has inadvertently become a recruiting tool for the Scottish Rite. Check out the new shirt design, featuring the crowned double-headed eagle; the shield with the number "33"; the motto Deus Meumque Jus (God and My Right); the sword clutched in its talons. Who knows whether Old Navy's art director knew the real source of the clip art he was cribbing? 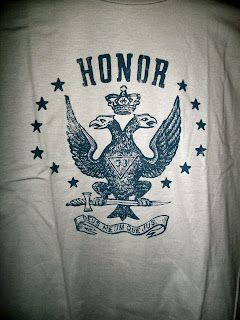 Whether he did or not, the addition of the word "Honor" makes a nice touch for those who know it to be what it is. I suspect the company's art people were simply looking for a cool symbol that would part the average American teenager from $19.95. Mine came in "urban dwelling gray." Also available in "black jack" and "red velvet." Soon to be in high schools everywhere. 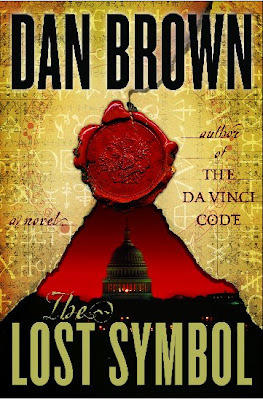 And just by sheer coincidence, it happens that it's the same artwork appearing on the wax seal on the cover of Dan Brown's Da Vinci Code sequel, The Lost Symbol. Over the last couple of months with the controversy over Gate City Lodge No. 2 in Atlanta going on, many of us in the Masonic community have lamented the lack of a strong statement concerning the position of the Grand Lodge of Georgia on the subject of race. Interestingly, just such a statement was recently made by MWBro. Herman M. Forrester, Grand Master of Kentucky F&AM in June. I have had several brethren send me messages to that effect, but until today had not seen the actual text. GM Forrester didn't just send it to lodges for the benefit of those attending meetings. It has been published in the GL of Kentucky's magazine, the August 2009 issue of The Masonic Home Journal so there's little chance of any Kentucky brethren claiming they never heard it. Any grand lodge groping for how to word such a pronouncement need only look to the Grand Master of Kentucky's strong leadership for guidance. That no negative reference is to bemade by any officer or member of any lodge chartered under the constitution of the Grand Lodge of Kentucky, F.&A.M. in reference to a petitioner’s faith, creed or race at any time in the conferral of the Degrees—i.e. lectures, obligation, by proficiency lecturers, etc.—or during any lodge Communication. Any lodge found in violation of this edict will be subject to Masonic discipline accordingly. Given under my hand, as Grand Master of the Grand Lodge of Kentucky, F.&A.M., this 23 day of June, 2009. Attest: Joseph R. Conway, P.G.M. Yesterday, July 25th, MWBro. Gale Kenney, Grand Master of Masons in Washington state and the officers of the Grand Lodge of Washington consecrated and installed the officers of Krucible Lodge No. 318 in Tacoma. The lodge has been operating under dispensation since April 2008. Krucible is now officially the newest chartered lodge in the state. Congratulations to Worshipful Master Kevin Davis and the brethren of Krucible Lodge No. 318! Quick: where is the largest Scottish Rite stage in the SR's Southern Jurisdiction? If McAlester, Oklahoma didn't spring immediately into your mind, you can be forgiven. But if you've never seen the Scottish Rite Masonic Center in this modest town of about 17,000, have a look. It is amazing. McAlester is the biggest city in the Choctaw Nation of Oklahoma. 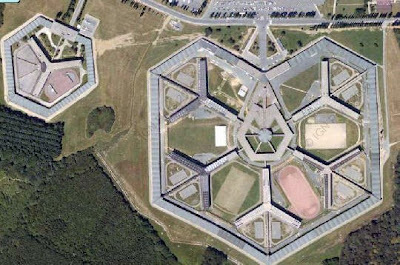 It's the home of the Oklahoma State Penitentiary, as well as the McAlester Army Ammunition Plant, where virtually every bomb used by the U.S. military gets made. McAlester is also the headquarters of the Masonic-related youth group, International Order of the Rainbow for Girls. First constructed in 1907, the Rite outgrew the building, and an expansion and major redesign commenced in 1928, to accommodate more than 6,000 members. The result was a state-of-the-art facility with the biggest stage in the Southern Jurisdiction, including more than 130 of the most massive painted backdrops ever painted, which are still in use today. Will Rogers received his SR degrees here. 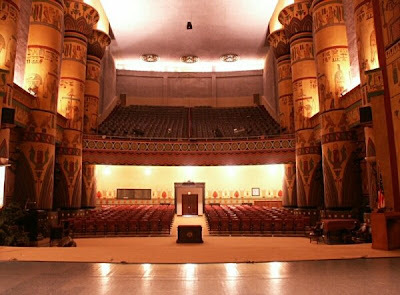 One of the largest pipe organs in the entire country was installed in the Egyptian-themed auditorium in 1930. The custom Kimball organ has a 51-bank console and over 3,100 pipes. The west side of the building is the home of South McAlester Lodge # 96, and the facade is decorated with a giant representation of a 'certain point within a circle' and its parallel lines. One of the most curious items connected with the building is a tall tower topped with an 8 foot diameter glass ball that is illuminated at night, dubbed "The Great Light in Masonry." 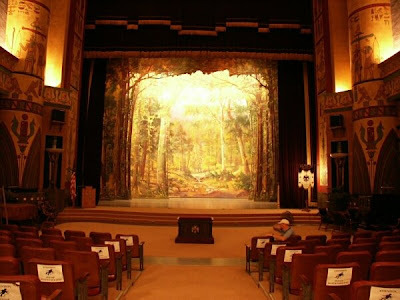 The reason the McAlester Scottish Rite Masonic Center came to my attention was from a newspaper article describing their recent program to restore 113 of the massive theatre backdrops. Minneapolis' Wendy Waszut-Barrett is an expert on the restoration of Scottish Rite painted drops, and she is spending the summer at the Rite with a team, as part of a 3-5 year restoration project. She motioned toward the mammoth 80-by 120 foot backdrop as it lowered to the floor. “This is the largest size in the Scottish Rite,” she said. Waszut-Barrett has assembled a team of a few paid workers and some volunteers to work on what will be a long job this summer. In all, there are 113 of the huge backdrops that need her attention. She plans to spend part of her summers working on the project over the next three-to-five years. Don Jones, general secretary of the Masonic Center in McAlester, said Waszut-Barrett is considered the foremost expert in restoring theatrical backdrops in Scottish Rite Centers in the United States. She recently obtained a doctorate in the field. The Center received a matching grant of $75,000 from the McCasland Foundation in Duncan for the project, Jones said. “They told me they were very interested in historical preservation,” he said. Many consider the historical backdrops in the Masonic Center in McAlester to be priceless. “In 1953 they were approved for insurance at $175,000,” said Mark Halyard, the director of work at the center. Those helping Waszut-Barrett with the project on Friday included Tammy Benson, Monte Hendrix, Michael Brakensiek, Jonathan Lalli, Bill Erkin, Johnny Allford and James Hendrix. Together, they would lift the rolled-up canvas backdrops and then place them onto a series of tables set up adjacent to each other. Waszut-Barrett is very familiar with the artist who originally painted the backdrops, Thomas Gibbs Moses. He was born in Liverpool, England in 1856 and died in 1932, she said. “These were painted between 1928 and 1930,” she said, Moses died in 1932, just two years after finishing painting the backdrops in McAlester. Moses viewed his work in McAlester as quite an achievement, according to Waszut-Barrett. Wendy's beautifully illustrated article, “Theatrical Interpretations of the Indispensable Degrees” appeared in Heredom No. 12. It discusses how the Scottish Rite grew so fast and so large, principally by its use of theatrical presentations. 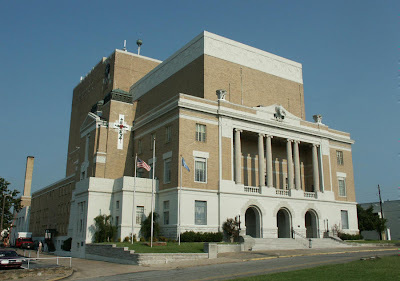 Be sure to take the online tour of McAlester's Scottish Rite Masonic Center here. It's even cooler at night. 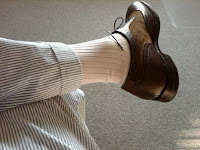 My friend and Brother Jeff Naylor has just started a new blog directed at the finer things in a gentleman's life, with an emphasis on their Masonic application, titled, appropriately enough, The Gentleman Mason. Jeff is the founding Master of Indianapolis' Lodge Vitruvian No. 767, Indiana's only European Concept lodge, and one of that shadowy group, The Knights of the North. He is a Founding Fellow of the Masonic Society. Issue No. 5, Summer 2009, of The Journal of the Masonic Society will arrive in our members' mailboxes in the next two weeks. The Journal is a quarterly magazine containing Masonic information written by authors from all over the world. Speculative papers, news stories, fiction, poetry, great photography, insightful opinion and other editorial elements reviving the golden age of Masonic publishing. • 'The Two Confessions of John Whitney: an examination of the conflicting theories as to the fate of William Morgan' by Stephen Dafoe. • 'Brother Bloom, The Most Influential Mason Who Never Lived' by Kenneth W. Davis. • 'Debunking Reality: Solomon's Temple and the Power of Allegory' by Randy Williams. 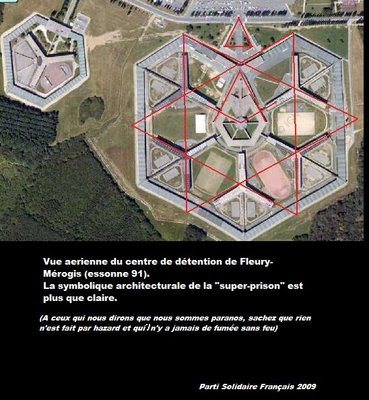 • 'Multiple Dimensions of Silence in Freemasonry' by Shawn Eyer. • 'The Orders of the Secret Monitor and the Scarlet Cord' By Richard L. Gan. • 'International Conference on the History of Freemasonry 2009' by Christopher Hodapp. • 'Masonic Treasures: The Washingtons of Donald De Lue' by Marc Conrad. • 'The Dan Brown Effect' by Christopher Hodapp. Plus news of current events, info on upcoming Masonic events, and other news from around the Masonic world. And the Journal accepts advertising from businesses of interest to Masons. It is a high quality, full color publication that is unlike any other magazine in the marketplace for Freemasons. Since beginning in May 2008, membership in the Masonic Society has grown to nearly 850 members. A subscription to the Journal is only one of the benefits of membership. Our members-only on-line discussion forum has 541 members discussing 2,496 topics. And we're getting ready for our "First Circle Semi-Annual Gathering and Banquet," in Indianapolis on October 24th. The Masonic Society also provides special members-only offers discounts and premiums on books, and even gentlemen's clothing: we have just added a discount card for members at Brooks Brothers. In addition to a lapel pin and membership card, each member receives an 11x14 patent, on parchment, with a hand-stamped wax seal. It is easily one of the most impressive membership documents in Masonry. 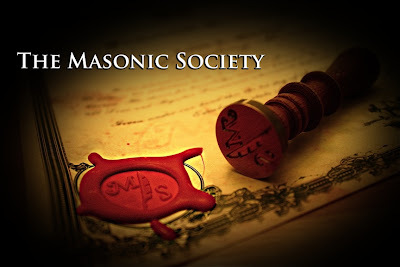 Membership in the Society is just $39, and is open to regular Master Masons in good standing of regular, recognized grand lodges in good standing with the Conference of Grand Masters of Masons in North America (CGMMNA), or a grand lodge in amity with a member grand lodge of CGMMNA. 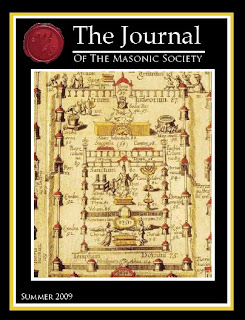 Non-Masons, libraries, lodges, and members of other obediences may also subscribe to the Journal at the $39 annual rate. Last year's Kansas Masonic All-State Marching Band in Emporia, KS. The 36th annual Kansas Shrine Bowl kicks off tomorrow, July 25th, at Cessna Stadium, Wichita State University. And for the 26th year, entertaining the crowd at halftime will be the Kansas Masonic All-State Marching Band. Band members are selected and sponsored by the Masonic Lodge in their community. Masonic groups and caring individuals donate camp fees that provide each member with a band shirt, housing, meals, insurance, professional music and marching instruction, supervision and social activities. “I really want to thank the Masons for providing the funds that make this opportunity possible,” Ashmore said. Band camp always starts on the Tuesday before the Saturday game and involves lots of practice in both playing and marching. Last year, 214 high school musicians from across Kansas participated in this program. The band plays at the banquet on Friday night before the game, leads the parade to the stadium the next day, and provides the half-time show. 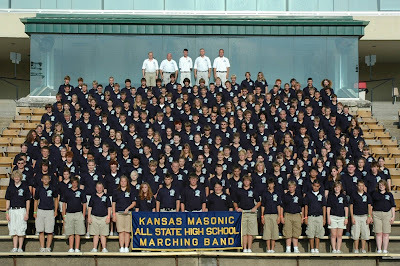 The band camp is sponsored by the Kansas Masonic Foundation. Galveston Rabbi James Lee "Jimmy" Kessler has many firsts to his credit. He is the first native Texan to serve as rabbi of Galveston's Reform Congregation B'nai Israel. He is the founder of the Texas Jewish Historical Society. And now he's the only rabbi to sit as Worshipful Master in a Texas lodge. Last week, WBro. Kessler was installed as the Master of Harmony Lodge No. 6 in the Scottish Rite Cathedral of Galveston. Harmony can trace its roots to the Galveston of 1839. Kessler, who has served B’nai Israel as rabbi since 1976, has been a member of Harmony Lodge since 1977. 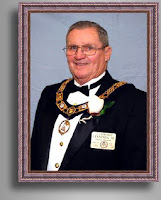 In addition, he belongs to the Scottish Rite Masons, the Royal York Masons and the Grand Lodge of Texas. The original Harmony Hall building, which was designed by Nicholas Clayton, was constructed for the Reform Jewish community of the island. “One misconception about Freemasonry is that you have to be invited to join,” Clyde Wood, Kessler’s predecessor in office, said. “Having a man like Jimmy Kessler will only add to the public’s favorable opinion of Harmony Lodge. “He is well loved and respected, not only in the Jewish community, but by people from all walks of life on Galveston Island. My friend from Britain, Brother Chris Quigley, seems to spend more time in Indiana than he does at home these days. 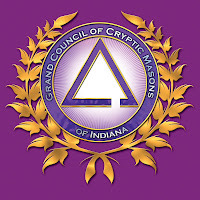 His website has a report and photos of the Grand Council of Cryptic Masons of Indiana's annual rededication of the Crypt in New Albany from this past weekend. Thanks for the update, Chris. Alice and I have to get to your neck of the woods one of these days. 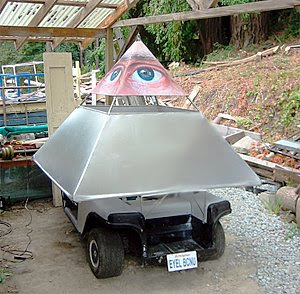 And you thought anti-Masonic conspiracists served no useful purpose. Thanks to ConspiracyArchive.com, an article from the Scottish Rite SJ's old magazine, The New Age, December 1969 issue is available online. The article discusses Neil Armstrong and brother Buzz Aldrin's historic Apollo 11 walk on the Moon 40 years ago today. Aldrin is a Scottish Rite Mason, and took a hand-made silk flag to the Moon and back, donating it to the House of the Temple. The Apollo program was rife with Masons; they were proud of being involved, and weren’t shy about advertising the fact. In the November 1969 edition of The New Age Magazine, there is an extensive article by Kenneth S. Kleinknecht, 33°, the Manager of the Apollo Program Command and Service Modules; Deputy Manager, Gemini Program; Manager, Project Mercury. Note how many of the astronauts themselves are Brother Masons: Edwin E. Aldrin, Jr.; L. Gordon Cooper, Jr.; Donn F. Eisle; Walter M. Schirra; Thomas P. Stafford; Edgar D. Mitchell, and Paul J. Weitz. Before his tragic death in a flash fire at Cape Kennedy on January 27, 1967, Virgil I. “Gus” Grissom was a Mason, too. Astronaut Gordon Cooper, during his epochal Gemini V spaceflight in August of 1965, carried with him an official Thirty-third Degree Jewel and a Scottish Rite flag. Via the lunar plaque, the Masonic ensignia and flag, and the Masonic astronauts themselves – Masonry already is in the space age. Can we doubt Freemasonry and its spiritual relevance to the modern era when even its material representatives have today made historic inroads into the infinite expanses of outer space? Back then, Freemasonry wasn’t shy about admitting that the “Craft” is essentially a spiritual endeavor, either. 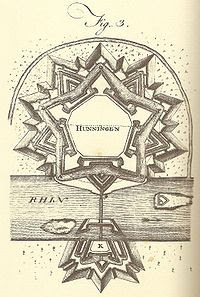 In fact, right before Kleinknecht writes some bios on the Masonic astronauts (as well as Mason James Edwin Webb, the NASA administrator from 1961-68), he includes these words: “The mission of the Craft has always been one of salvation, but until now its field of endeavor was the individual and the bringing of him to the light. Masonry cannot think in these terms now. All men everywhere must hear our message or all men everywhere will perish” (ibid., pp. 15-16; my emphasis). Kenneth S. Kleinknecht, by the way, was/is the brother of C. Fred Kleinknecht, 33°, Sovereign Grand Commander, The Supreme Council, 33° (Mother Council of the World), Southern Jurisdiction, USA, Washington. Well, yes, as a matter of fact, we were indeed proud of the Masonic connections with the space program. As much as that seems to irritate the conspiracists. Might as well let the other cat out of the bag. 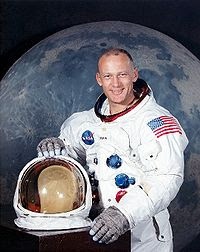 While he was on the Moon, Brother Aldrin claimed our lunar neighbor for the Masonic jurisdiction of the Grand Lodge of Texas. Aldrin was a member of Clear Lake Lodge # 1417 in Texas when he stepped onto the surface of the Moon. He carried a special deputation from the Grand Master to claim it as being in the territorial jurisdiction of the Grand Lodge of Texas. So, here's to the three bravest men in the universe, Neil Armstrong, Buzz Aldrin and Michael Collins and the greatest moment in human history. It will never be equalled in my lifetime, not because men can't achieve such things anymore, but because society has lost the vision to try. The most stirring human achievement we seem to able to muster up these days is Richard Branson assuring the world his Virgin Galactic space tourism program will be "carbon neutral." Ousted Liberian Leader Charles Taylor's Mementos Mori. AFP is reporting that ousted Liberian president Charles Taylor, currently on trial for war crimes, was asked yesterday about human skulls being displayed at checkpoints in Liberia during his 1989-90 revolution. Oh, those old things? Why, it was just like a Masonic lodge. "Skulls were used as symbols of death," he told judges of the Special Court for Sierra Leone trying him on 11 counts of war crimes and crimes against humanity stemming from the 1991-2001 civil war in the neighbouring state. "These were not our people. Enemy soldiers had been killed and their skulls were used. I knew that, and it did not bother me." The skulls were of soldiers killed in clashes with Taylor's National Patriotic Front of Liberia (NPFL) which invaded the country from the Ivory Coast in 1989 to oust his predecessor, president Samuel Doe. Taylor sought to draw a distinction between human skulls and fleshed human heads, calling it "a blatant, diabolical lie that I, Charles Ghankay Taylor or anyone would drive by a human head. "These were only skulls that I saw and I would not have tolerated anyone killing and putting a human head up," he told the court. The 61-year-old testified that skulls were displayed to convey the message that "if you do wrong, this is the result." 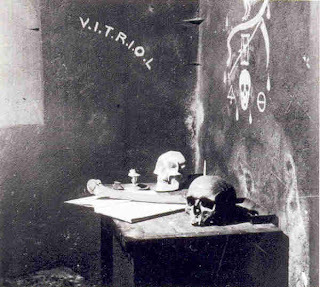 Taylor argued that the skull was still used as a symbol by "western fraternal organisations". "I saw them (at the checkpoints), I investigated... and came to the conclusion it was not anything wrong. I had also seen skulls in fraternal organisations that are western, I did not think there was anything wrong with a skull. "We are not talking about skulls lying around all over the place", he added, but only "at certain strategic junctions." Taylor denied, however, having ordered the skulls to be put up. Although we don't, as a general rule, go shoot up a lodge of Odd Fellows, Knights of Pythias, Knights of Columbus or Elks to get ours. We usually just order the plastic ones. I am not trivializing this story. In case you don't know anything about the real horrors of the civil war in Liberia, read it here. An estimated 250,000 out of a country of 3 million were killed, and stories about troops eating human hearts and playing soccer with human heads became common. Police in Fiji detained 14 members of a freemasons lodge for 24 hours after local villagers complained that they were practicing sorcery, newspapers reported Thursday. Eight Australians and a New Zealander were among those jailed after their Tuesday night meeting was raided by police. The Australian Department of Foreign Affairs and Trade confirmed 14 people, including eight Australians, were detained for convening a Masonic meeting without the right permit. The New Zealand Herald quoted an unnamed police spokesman who said officers acted on reports from villagers of "strange goings-on" at the lodge. The lodge secretary showed police a permit for the meeting but was told it was not relevant and the group was taken to the jailhouse and locked in cells, the Herald reported. Australia's Canberra Times reported that Prime Minister Frank Bainimarama ordered their release but investigations were still continuing. Emergency regulations imposed by Fiji's military regime allow police to detain people for up to 48 hours without charge. The New Zealand newspaper said police in Lautoka seized Masonic paraphernalia including wands, compasses and a skull. 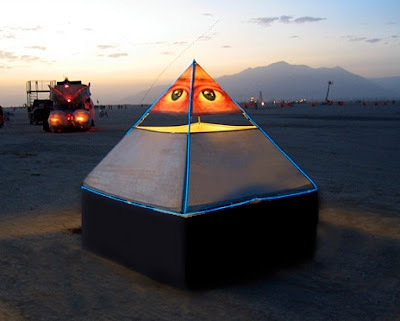 Justa Mason has an extended entry about this story, describing past Masonic "misunderstandings" on Fiji, and asking some pertinant philosophical questions about the larger issue of public perception. See it here. And Charles McAlpin on Examiner.com has a piece explaining that those wacky ideas about sorcery aren't as uncommon around the world, or harmless, as you might think. 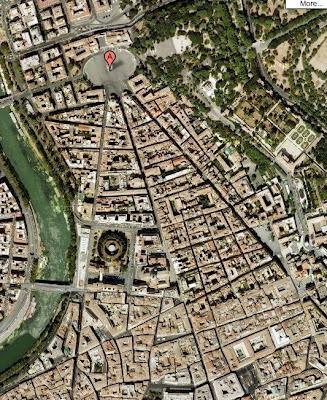 Get a jump on the history behind Dan Brown's upcoming book, "The Lost Symbol." 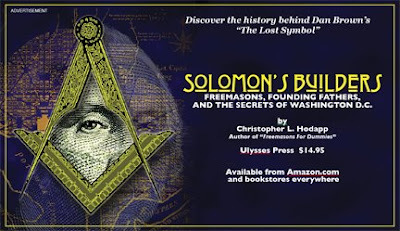 "Solomon's Builders: Freemasons, Founding Fathers and the Secrets of Washington D.C." by Christopher L. Hodapp, author of "Freemasons For Dummies." 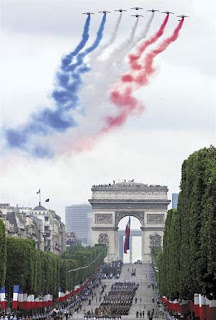 Happy Bastille Day to my French brethren. 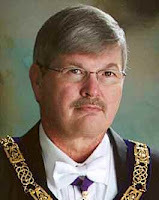 Atlanta's The Sunday Paper has an extensive article by reporter Chuck Stanley on the Gate City Lodge No. 2 situation in its online edition today. It includes important remarks by John Holt as to his resignation as DDGM. In retrospect, Holt says, Marshall’s membership in the lodge was “out of the ordinary” (he was not aware of any other black Masons in the district) and therefore should have been relayed to the Grand Master. At the time, though, it never occurred to him to report it. In the mania to swab up every morsel of information about Dan Brown's forthcoming "The Lost Symbol," readers everywhere are attempting to decipher every press release, cover art, and Twitter clue dribbled out by Brown's publisher. Michael Schaub over at Bookslut.com has managed to crack the code behind the title itself. If you rearrange the letters in "The Lost Symbol by Dan Brown," you get "Horny Matt's Wobbly Blondes." Meanwhile, while everyone was attempting to figure out the importance of the date of the release of the book, September 15, 2009, few thought to add up the numbers 9/15/09. "The situation with the Grand Lodge of Georgia and Gate City Lodge No. 2 will be addressed in a statement I will make public in about 10 days. "The statement you sent me from the brother in Atlanta concerning John Holt is incorrect. As Grand Master of Masons in Georgia, it is my duty to appoint Brothers to positions in Grand Lodge, such as District Deputies, who keep me informed of all things in their sub-districts, that I may be better informed of all situations that may need my input. I felt that I had not been kept informed, not only of the incident with Gate City Lodge No. 2, but with other situations also. This particular District Deputy had made comments in a tyled Lodge meeting stating things that I supposedly had said, comments that simply were not true. As Grand Master, I have to have Brothers on all appointed committees of Grand Lodge to do the best job possible. I felt that this was not happening from this particular District Deputy and I asked him to resign. There is no hard feeling on my part toward John; I am only doing the job I was elected to do. At the same meeting where he resigned, John he told me that he was proud that I presented him his 50-year certificate and that if he lived long enough that he wanted me to present him his 60-year award, which I told him I would be honored to do. It is true that John is a White Cap Scottish Rite Mason and has done a great job in the past, both in the Scottish Rite and the York Rite, and that he has spent eleven years as a District Deputy, but there comes a time when things must change and that time had come. John is still a friend of mine and I look forward to spending time with him in both Scottish and York Rite meetings. "Do not believe all the information you receive on the internet, for much of it is biased and untrue. The best source of information is from "the horses mouth", and I trust that what I have related to you will satisfy your curiosity in these matters." Many thanks to Grand Master Jennings for taking the time to respond. I encourage everyone to wait patiently for his public statement on Gate City Lodge, and not to speculate. 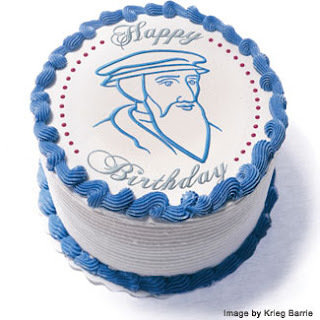 Today is the 500th anniversary of the birthday of John Calvin. Jay Hochberg's blog has an entry about John Calvin and the origin of the term "Great Architect of the Universe." Freemasons use the term constantly, but few of us know where it came from. I came across this announcement on the Grand Lodge of California's website. Rather than paraphrase, I'll let the story speak for itself. Across countries and centuries, Freemasonry has shaped governments and societies. But only limited academic research and coursework has been devoted to the subject – until now. Thanks to the Grand Master’s Project to Advance the Study and Understanding of Freemasonry, the Grand Lodge of California has cemented a partnership with the University of California at Los Angeles. The academic world is now positioned to define Masonry’s history in credible, fact-based terms. *A spring 2010 curriculum is already being developed for two separate classes, led by Dr. Margaret C. Jacob, professor of history at UCLA and one of the world’s foremost Masonic scholars. For information about how you can support the Grand Master’s Project, call the Office of Philanthropy at 415/292-9117. The Plumas County News reports on the 150th anniversary of Sincerity Lodge No. 132 from over the weekend. Sincerity Lodge truly started in the Old West. The lodge was started by a group of men who had built a tavern in the Gold Rush town of Rich Bar. Their wives had been less than enthused, and quickly burned the place to the ground. The Masons chose "Sincerity" as their name to let their women and state dignitaries know that they were sincere in their desire to better themselves in the virtues still taught in lodges today: temperance, fortitude, prudence and justice. Masons strive to strengthen core virtues within themselves, including those of brotherly love, relief and truth. “These are virtues that ennoble common man and make them better husbands, fathers and sons,” Adams(on) said. “This is a great time to be a Mason in California,” he said. While there was a 30-year decline in membership, 2009 marks the ninth consecutive year that membership numbers have risen to those of the early 1980s. The average age of those now applying for membership are men of 35, and the fastest-growing segment of population are young men of 18–27, whose numbers have more than doubled in the last year. “So young men do find relevance in Masonry,” he said to the surprised murmurs from his fellows. They are smart, he said of the young men, and they will challenge older members with their knowledge of what Masonry is. They are not looking for the lodge to be the center of their social circle, like men of the past, Adams(on) said. Rather, they look toward their brothers to keep the promise of Masonry to make men better with lessons, which in turn will make their communities a better place to live. “Whether 83 or 18, when Freemasons apply their lessons to communities, men are attracted to Masonry,” Adams(on) said. Preach it, Brother Adamson. I just wish the paper had spelled your name correctly. And congratulations to the brethren of Sincerity Lodge. Delegates at the Imperial Shrine session of Shriners International in San Antonio voted Monday to reopen the Galveston, Texas burn hospital, which has been closed since last September. The hospital had been damaged by Hurricane Ike. Shriners trustees had sought to keep the facility closed, and the University of Texas had filed a lawsuit against Shriners to reopen it. Convention delegates voted to keep open all of the 22 hospitals nationwide in the Shriners system and, in a separate decision, voted 756 to 482 to reopen the Shriners Hospital for Children-Galveston. The leadership failed to convince delegates to close hospitals in Shreveport, La. ; Spokane, Wash.; Greenville, S.C.; Erie, Pa.; and Springfield, Mass. Delegates will vote over the next two days on proposals to save the money-starved system without closing hospitals. The vote followed months of lobbying by the 1,000-member El Mina Shrine, based in Galveston. Tommy Lambright, the Shriners Hospital for Children Galveston board member who led the lobbying effort, said every one of the 1,500 delegates to the convention was contacted by phone. This in spite of catastrophic losses for the Shriners' foundation that funds the hospitals—in part, because of reduced contributions, but largely because of the plummeting stock market. The assembled Shriners were not swayed by pleas from the leadership for financial common sense. The trustees were directed three years ago to try to increase the $8.5 billion hospital endowment to $14 billion. When the stock market fell last year, however, the investments plunged to less than $5 billion. Shriners' Hospitals CEO Ralph Semb was quoted as saying in April, “Unless we do something, the clock is ticking and within five to seven years we’ll probably be out of the hospital business and not have any hospitals." The July 2-4, 2009 edition of the Richmond Free Press is reporting on a lawsuit brought against the MW Prince Hall Grand Lodge of Virginia. According to the story, 49 suspended members of Prince Hall-related organizations are suing the 5,000 member Grand Lodge and the related Order of the Eastern Star for $50 million, in what is essentially a battle over the Grand Master's and Grand Lodge's authority over the Shrine. The MW Prince Hall Grand Lodge of Virginia was founded in 1875. The national Ancient Egyptian Arabic Order Nobles of the Mystic Shrine of North and South Jurisdictions Inc. was founded in 1893, and is headquartered in Memphis, Tennessee. (It is not related in any way to the Tampa-based mainstream Shriners International). The AEAONMS in Virginia today has 718 members, and another 309 members of the related Daughters of Isis. Just like their mainstream Masonic counterparts, to be a member of the Shrine, one first has to be a Prince Hall Freemason. According to the lawsuit, the trouble stems from an incident in 2006 at a benefit football game in Norfolk sponsored by the Shriners. Then-Grand Master Curtis S. Vaughan Jr. allegedly became upset that he was not treated with proper respect by the Shriners. As a result, the Grand Lodge exerted a claim that Shrine Chapters in Virginia were required to seek the Grand Lodge's permission to meet and hold programs in the state. The Shrine has ignored the GL's authority. Vaughan and his successor, MW Larry D. Christian are now accused by the plaintiffs of illegally suspending more than 100 Masons who refused to give up their Shrine membership. Likewise, the PHA-related Order of the eastern Star has suspended members who refused to give up their Daughters of Isis memberships. those Grand Lodges “terminating fraternal relations” between A.E.A.O.N.M.S., Inc.
sovereignty and business affairs of the A.E.A.O.N.M.S., Inc. This implies that there are more Prince Hall grand lodges than just Virginia's that are attempting to put pressure on the Shrine's independence. In mainstream jurisdictions, this kind of turf war is a rare, but not unheard of, situation. It will be interesting to see who blinks first, or indeed if the Court steps in to solve the matter. 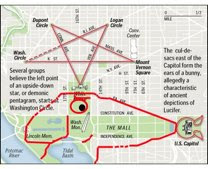 Freemasons, Washington and Dan Brown's "Lost Symbol"
If there was any question before, there isn't any more. 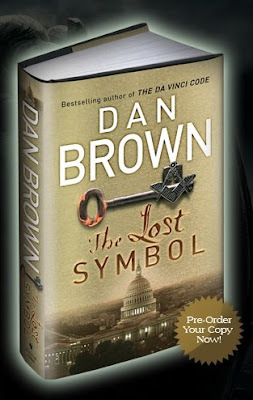 The cover of Dan Brown's new novel, The Lost Symbol, has been released. The US version shows the Capitol, placing the story in Washington D.C. The wax seal features a double -headed eagle, reminiscent of the seal of the Scottish Rite of Freemasonry, the No. 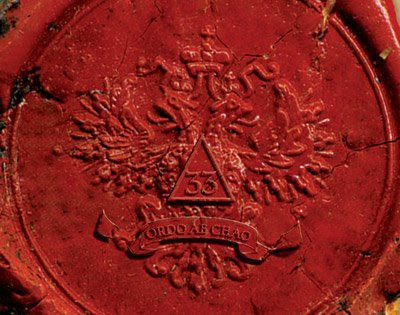 33, and the Latin phrase, Ordo ab Chao ("Order from Chaos") The seal is set against a background of symbols of the zodiac and alchemy. The UK version of the cover is even clearer, featuring a key with a Masonic square and compasses (echoing it's discarded Solomon Key title, but probably giving Brother Robert Lomas a bit of a fit with its resemblance to his "Hiram key" symbol). The Lost Symbol is due in stores September 15th. In the meantime, friend and Brother Mark Koltko-Rivera has been deciphering the pre-publication clues released by Brown's publisher over Facebook and Twitter. Check out his Key To The Lost Symbol Tweets. And if you want to get a jump on how Freemasonry and the city of Washington D.C. are intertwined and many of the likly sites that Brown will use in his book, check out my book Solomon's Builders: Freemasons, Founding Fathers and the Secrets of Washington D.C.
Brown's Da Vinci Code sold 81 million copies and is the 6th most popular book in the history of the English language. It's long awaited sequel will introduce literally millions of people to Dan Brown's version of who and what the Freemasons are, whether it is true or not (ask Opus Dei about that one). Masons all over the world need to polish up their elevator explanations, and grand lodges need to be prepared for greater interest. And scrutiny. The clock is ticking. Brown's U.S. editor Jason Kaufman from Knopf Doubleday, an imprint of Random House, said in a widely reported statement that the book is "largely" set in Washington but "it's a Washington few will recognize." "As we would expect, he pulls back the veil -- revealing an unseen world of mysticism, secret societies, and hidden locations, with a stunning twist that long predates America," said Kaufman. 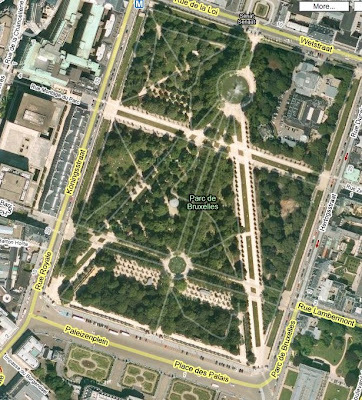 Shows on the History Channel that "expose" the Masonic "symbolism" the street plan of Washington DC are so 2005. Now thanks to Google, the truth can at last be exposed. The Freemasons exerted their power and influence far beyond the shores of the United States. 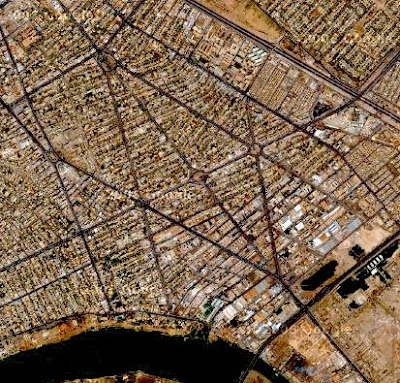 Above is a view of the streets of Baghdad, clearly showing the square and compasses of Freemasonry. 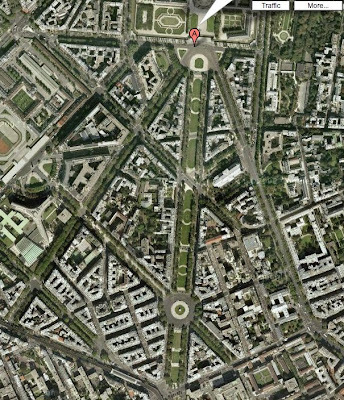 A clear sign of a Masonic conspiracy. Still, Baghdad has nothing on Sandusky, Ohio. And you thought you'd never read a Michael Jackson story here. 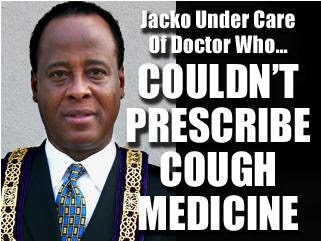 It seems that Jackson's live-in doctor, Dr. Conrad Murray (left), who is at the center of the controversy over drug injections, is alleged to be a Freemason. The money was one of the main reasons Murray decided to go on tour with Jackson, says Rev. Floyd Williams, 80, who is Murray's friend and patient. Murray had developed a booming concierge business — he was jetting off to see patients in New York and Washington while building his practice in Las Vegas. Three years ago, Murray joined the Freemasonry (sic), the international fraternal society that dates back to the early 17th century. His friends say this new network galvanized his growing side business. Note what appears to be a Masonic officer's collar resting on Murray's shoulders. No knowledge at this time whether he is a member of a mainstream lodge, a Prince Hall lodge, or one of the literally hundreds of irregular, unrecognized "grand lodges" that are scattered around the country. 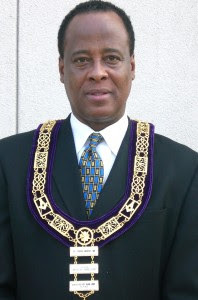 (The Prince Hall research group, the Phylaxis Society's Commission on 'bogus' Freemasonry lists at least 8 irregular, unrecognized "grand lodges" with Las Vegas addresses). No one knows yet, but I'm certain the world's news organizations are hot on the trail. So, welcome to all of you folks swooping in here who have Googled "Freemasons killed Michael Jackson!" in search of the Masonic conspiracy. And members of the press, please, buy my book. If everybody else is going to cash in on Jackson's death, I might as well reap a little pelf as well. Murray's attorney Ed Chernoff has released the full photo of the doctor in his Masonic collar, with a caption reading "Dr. Murray has been a Freemason for three years" on the law firm's website. But after several weeks since this story broke, no one in the mainstream or Prince Hall Masonic community has been able to determine his membership. Join Masonic Central tonight, July 5th at 9pm EDT/6pm PDT for an interview with Wbro. Mark Tabbert, PM, Director of Collections at the George Washington Masonic Memorial in Alexandria, Virginia. Mark is the author of American Freemasons: Three Centuries of Building Communities. Mark was born and raised in Iowa. He grew up in Burlington along the Mississippi, and received a B.A. in European History from Allegheny College in Meadville, Pennsylvania in 1986. He has worked for the Historical Society of Western Pennsylvania in Pittsburgh, the Missouri Historical Society, and served as Curator at the Scottish Rite's Museum of Our National Heritage in Lexington, Massachusetts. In 2006 he became Director of Collections at the George Washington Masonic Memorial. Mark was made a Mason in Malta Lodge No. 318, in Burlington, Iowa. He is a Past Master of Mystic Valley Lodge, AF&AM in Arlington, MA, a member of the three York Rite Bodies, and a 33° Scottish Rite (NMJ) Mason. He has been featured on numerous television programs speaking about George Washington and Freemasonry. Among his many other affiliations, he is a Founding Fellow of the Masonic Society, and serves on its Board of Directors. Listen to the show and participate live at http://www.blogtalkradio.com/Masonic-Central or download the podcast later. The Gate City Lodge story continues to create firestorms in Georgia. A new development occurred on Thursday, as 82-year old District Deputy Grand Master John Holt was asked to resign his position by the Grand Master. "On Thursday, July 2, 2009, after a regular communication of the Scottish Rite, Valley of Atlanta, Ed Jennings, Grand Master of Masons in Georgia asked John Holt, DDGM, for his resignation. "You were there at the initiation, you were there at the passing and you were there at the raising." Said Jennings. "You never once told me that Gate City was raising a black man." He then proceeded to ask John for his resignation. John resigned. 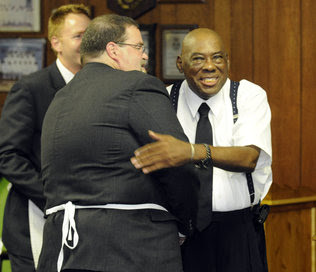 John Holt, 82, had just received his fifty year apron from WGM Jennings not two weeks prior. He has earned just about every honor possible from York Rite, is a White Cap in Scottish Rite, and spent eleven years as a District Deputy to the Grand Master. One helluva way to thank a man for his service." I have sent a message to the Grand Lodge for clarification of this story. Holt is the second DDGM in the Grand Lodge of Georgia to resign in the last two weeks over this issue. RW Brother David Herman resigned his position as well. See here.